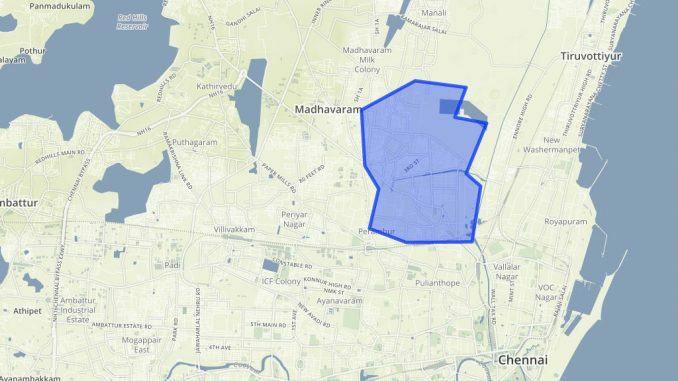 Perambur, which was earlier a reserved constituency, is one of the biggest Assembly constituencies in Chennai. From 1971-91, the DMK was in power here. The AIADMK came to power in 1991, and the DMK regained the constituency in 1996. Since 2001, the CPM has been in power here. There are 2,88,901 registered voters in Perambur. 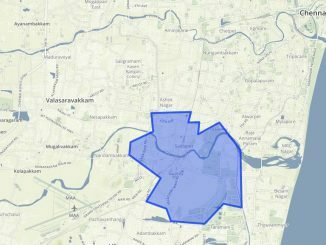 The Perambur constituency includes Kodungaiyur (West), Kodungaiyur (East), Vysarpadi (South), Vysarpadi (North), Perambur (North), Perambur (East) and Elango Nagar. Perambur is an important railway hub. It houses the Integrated Coach Factory and has a higher percentage of blue-collar workers. The past few years have seen the growth of residential complexes, shopping malls, IT parks, and other commercial establishments. There are pockets of Burmese diaspora like Sastri Nagar and Indira Nagar in Perambur. Incumbent MLA A Soundararajan mentions the installation of reverse osmosis plants at all government and Corporation schools to provide drinking water to students, and allotment of 1.25 crores to introduce new courses at Vyasarpadi Ambedkar Government College as some of his achievements. According to him, the Vyasarpadi flyover work was completed after he raised the issue several times in the Assembly. Soundararajan was in the news when he was arrested for joining the protest to relocate the garbage dump yard at Kodungaiyur. He was also in the news when he submitted a private member bill, ‘Prevention of Crimes in the Name of ‘Honour’ and Tradition Bill 2015’ to the Assembly secretariat to prevent ‘honour killings’. He had also protested against the proposed Provident Fund (rule) of the Central government which was against the interests of the employees. Perunthalaivar Makkal Katchi leader N.R.Dhanapalan is contesting as DMK candidate. In the 2011 elections, he was defeated by Soundararajan by a margin of 17,423 votes in Perambur. In his campaigns, he criticized the AIADMK government by pointing to drinking water and electricity shortage. Vetrivel was elected as the MLA of Dr. Radhakrishnan Nagar Constituency in the 2011 elections. He defeated the DMK candidate by over 30,000 votes which is 59.04% of total votes. He had given up his seat in 2015 to make way for the re-entry of party supremo J. Jayalalithaa into the assembly. After her acquittal in the disproportionate assets case, Jayalalitha contested the bypolls at R.K.Nagar and was elected. Perambur being a low-lying area, inundation during monsoons is a problem that has been plaguing the residents for decades. The residents demand proper de-silting of Cotton Canal and Kodungaiyur canal. The incumbent MLA had promised to take steps to solve the issue during 2011 elections. Though the Corporation had taken steps to de-silt the canal, 10% of the work remained incomplete, as per reports in October 2015. “Every monsoon the roads and pavements here are inundated. We are worried about our health as we have to wade through sewage-mixed water,” says Selvi.S from Vyasarpadi. Many demanded an immediate solution to the inundation of the Vyasarpadi-Ganesapuram underpass which is flooded every rainy season. Poor sanitation is another important concern for the residents here. They said that the sewage pipes are old and need to be replaced and maintained properly. Residents also complained of mosquitos being a serious menace. The Kodungaiyur garbage dumpyard presents another perennial concern that the residents of the area have been complaining about for years.“Many people living around the area are suffering from respiratory problems and other health disorders. The water and air are polluted,” says Rani S, a flower vendor. The construction of the Vyasarpadi railway over-bridge, after years of agitation, has brought some respite to the heavy traffic congestion in the area. However, according to residents more action is needed to ease the traffic problem. The residents have been demanding the construction of an overbridge at Ganeshapuram subway, and repairing and widening of roads for a long time. Some of the residents also voiced their complaints against erratic supply of drinking water and electricity. “Liquor shops in the area are a major nuisance to the residents; they should be shut down. But, the same parties who promise prohibition are providing free liquor to get votes,” says P. Balaji, who runs a tea-shop.